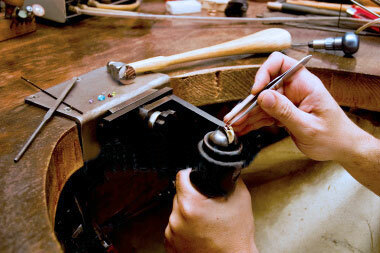 David Mann Jewelers also has a full repair and service shop right on the premises. All work is done in-house, your items never leave the store. 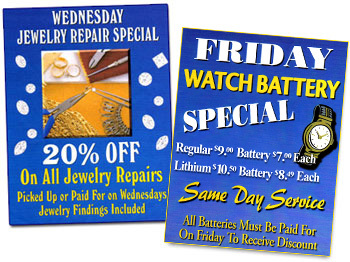 We offer free jewelry cleaning & inspection while you wait and provide jewelry appraisals as well. Many of our other services can be performed while you wait. Free gift wrapping is also available. Click Here to view examples of some of our work. Same day, next day and 3 day services available. A charm is a sentimental journey you can hold in your hand ...for your lifetime and to pass on for generations. If you have any questions about a particular item, please call or email us and we would be happy to address your specific issue.